SLV Youth is a 501(c) non-profit based in Boulder Creek, California. We support athletic and non-athletic organizations in the San Lorenzo Valley and Scotts Valley communities. SLV Hoops provides a healthy and nurturing development zone for youth basketball in and around the San Lorenzo Valley community. The emphasis is on fundamental skill development, teamwork and sportsmanship. 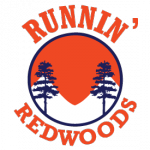 Runnin’ Redwoods is a competitive AAU basketball organization in San Lorenzo Valley and northern Santa Cruz County. It’s purpose is to provide healthy competition in an environment that promotes teamwork and sportsmanship. Santa Cruz SPIN is a high school aged softball organization based in Santa Cruz County. SPIN allows players to continue their high school development in an environment that is fun and competitive. SLV Flag Football is starting its second year. Already we’ve seen a 40% increase in the number of kids wanting to play.